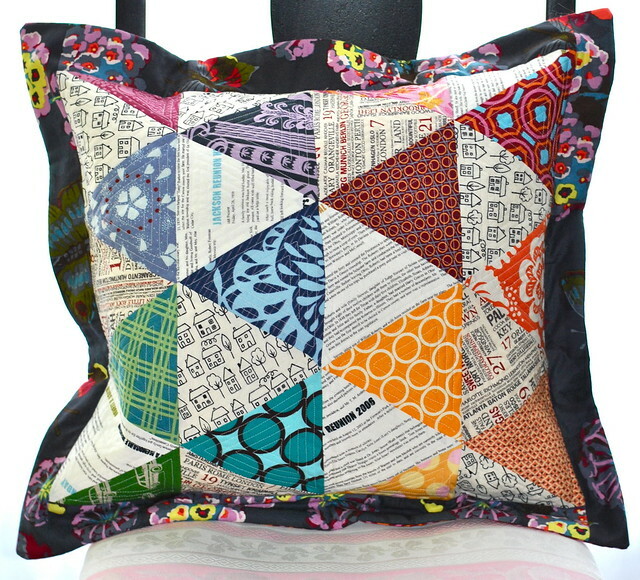 In the midst of an epic week, I finished my scrappy triangles pillow for the Pillow Talk Swap on Flickr. I went with text prints and assorted scraps for the front, and Anna Maria Horner LouLouThi for the border. I hope my partner likes what I came up with! I was originally thinking about a scrappy Drunkard's Path, but shifted gears to this design. I'm really happy with how it turned out, especially the echoed triangle quilting lines. For the back, I used some more AMH, this time Garden Party, and a zipper flap that doesn't quite work yet. I need to add one more row of stitching to get it to lie flat. I made my own pillow form, because the pillow is a bit wider than it is long. 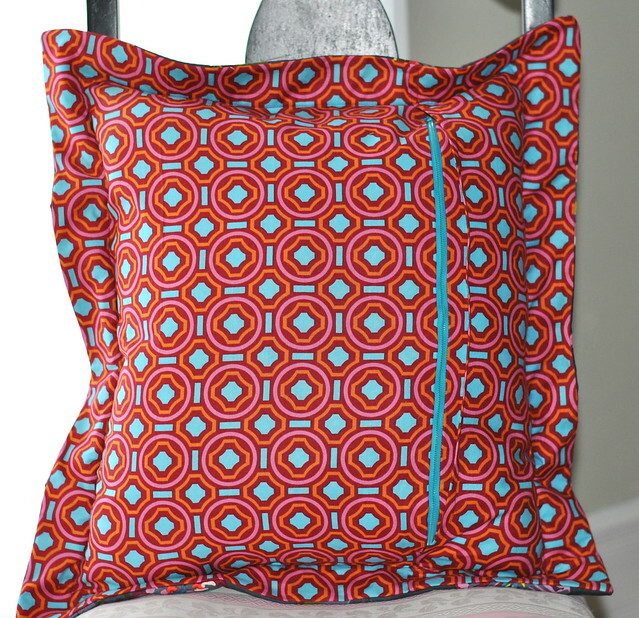 Are you sewing any gifts this weekend? Almost time to start thinking about the holidays . . . and if you are, please check out Ruby Star Wrapping. It's a really lovely book! Your pillow is great! 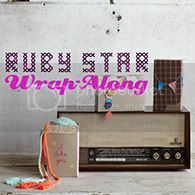 Thanks for the Ruby Star Wrapalong shout out! Cute pillow! I like the bits of text fabric. Thanks for sharing! Love the pillow. I only think about wrapping around the holidays so the WAL is perfect timing and will inspire for many more seasons to come.